Claus Ibsen (@davsclaus) riding the Apache Camel: Webinar - Are your Apache Camel routes ready for production? Webinar - Are your Apache Camel routes ready for production? My colleague and fellow Apache Camel committer, David Valeri, is giving a webinar on thursday (March 29) titled - Are your Apache Camel routes ready for production? Apache Camel is a powerful integration framework capable of connecting dozens of protocols together in a flexible and scalable manner. But did you also know that Camel provides a powerful set of testing tools for validating your integration logic? You are confident that you unit test your business logic, but are you sure that you are fully testing your integration logic? In this webinar we will review how Camel integrates with popular testing frameworks, testing strategies, and best practices for testing your Camel routes. We will also explore the powerful testing features within Camel. I think this is a great topic, and something I have considered presenting myself as well. The test kit in Apache Camel is very powerful, and we keep improving it from release to release. And frankly there is many gems in there, some which I have blogged about in the past. 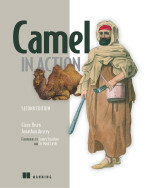 And others you can find some details in chapter 6 of the Camel in Action book, and as well some details on the Camel website, and in the FuseSource Camel documentation. But I think its the first time a full hour session has been devoted to this topic, in a free to attend webinar. You can find more details about the webinar and how to register here.